John Daly Weight Loss Pictures? Home > Sports > Golf > John Daly Weight Loss Pictures? John Daly is closer to the playing weight at which he won the 1991 PGA Championship. He looks considerably slimmer and said before his tee time Thursday that he's lost 25-30 pounds. How did he get to lose so much weight? Good for John Daly, his weight loss will help him be a better player. Are there before and after pictures of John Daly's weight loss? 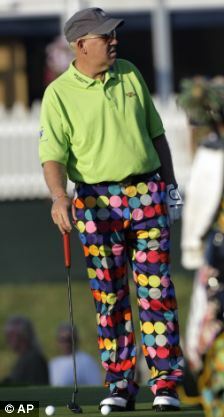 I found some pictures of John Daly before loosing weight and after. Surprisingly, John Daly's weight loss has had an equally dramatic on Daly's golf, with the man who has always advocated a 'grip it and rip it' mentality recently complaining of a lack of feeling in his hands. John Daly now weighs less than he did when he won his first major, the 1991 US PGA at Crooked Stick. 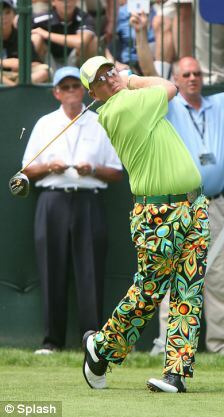 Similar Threads for: John Daly Weight Loss Pictures? Raw Vegan Diet for Weight Loss?